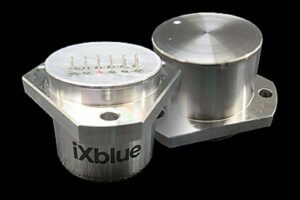 iXblue, a developer of advanced navigation and positioning technologies, has announced the launch of the iXal A5, the company’s first navigation-grade accelerometer dedicated to high-performance applications. The sensor is designed for a wide variety of civil and defense applications including navigation and guidance for unmanned aerial vehicles (UAVs), unmanned ground vehicles (UGVs), autonomous underwater vehicles (AUVs) and other autonomous systems. Benefiting from five years of in-house manufacturing for iXblue’s own Inertial Navigation Systems (INS), the iXal A5 is a rugged sensor that provides high accuracy and repeatability, as well as a high input range (+/-100 g) and an insensitivity to magnetic field. This offers iXblue’s iXal A5 an excellent resistance to challenging environments. Manufactured in France within iXblue’s production facilities and capitalizing on the company’s end-to-end control of its value chain, the new iXal A5 accelerometer is an ITAR-free product with no restrictive component. It is the first entry in a planned wider range of accelerometers that will offer a scalable solution covering both navigation and strategic grade applications.